Odessa, Texas: October 9, 1955. | 50 Westerns From The 50s. Odessa, Texas: October 9, 1955. While doing some research on George Sherman’s The Treasure Of Pancho Villa (1955), I came across The Odessa American from October 9, 1955. What was playing around town was incredible. You could spend your night with Randolph Scott, Joel McCrea, Robert Mitchum or Rory Calhoun. If all that wasn’t enough, you could head to the Odessa High School field house on the 11th for The Western Revue Of 1955 with Lash LaRue and “Fuzzy” St. John in person — or wait a couple more days for Elvis Presley (“with Scotty and Bill”), Johnny Cash, Wanda Jackson and Porter Wagoner. 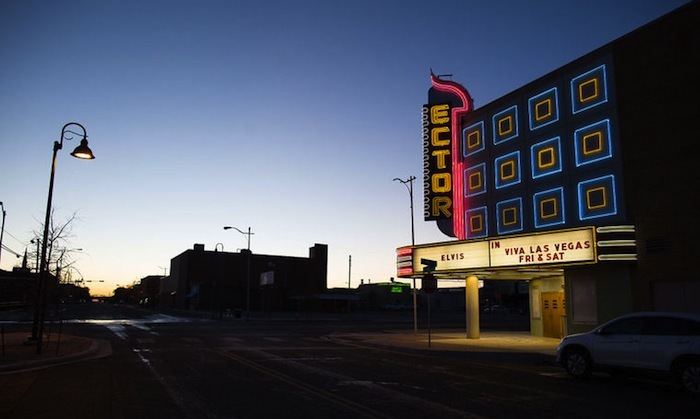 By the way, the Ector Theater was restored in 2001 and runs classic movies from time to time. I love Texas. We get theatres named after Broadway stars. How about a Randolph Scott cinema or Barbara Stanwyck Bijou, or Lizabeth Scott Movie House. That almost looks like the name of the football team I support , THE BRONCOS in Brisbane without the H.
That’s just one reason it’s called “the good old days”. It’s called theaters (not theatre) because that’s where movies are played. You wanna see a play you go to a barn. 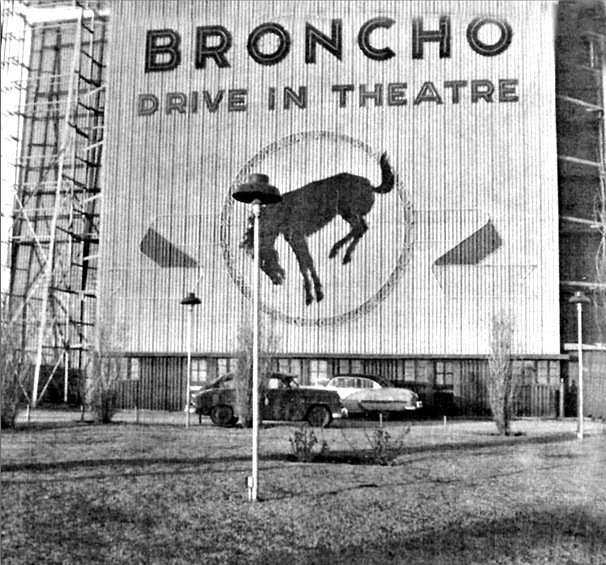 I went to all these three theaters in the early Sixties, age six to nine, and they were as much a part of my memories as the movies themselves. Hatari was at the Rio, The Longest Day at the Scott (which had a huge space age rotating marquee on it), and The Alamo at the Ector…and a swarm of Disney films in between. It is more than nostalgia; those really were golden times! Thanks so much for writing in. I love hearing people’s stories of what they saw — and where.